A good little portable creativity catalyst I bought a few months ago. 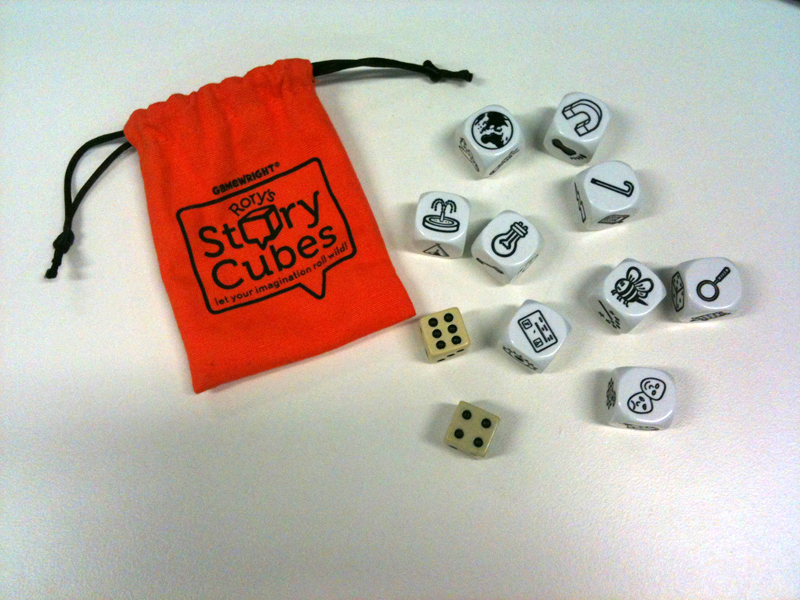 Can be used to tell a story, generate ideas, light the spark, trigger the concept… so many possible uses. I added the normal numbered die for an extra dimension of extensibility. We invited 6 current students from Qantum and Universtiy of NSW for meetings to discuss being potential interns on the PLANE project. Part of the discussions involved them doing the usual thing like showing us their portfolio showreel and work samples. However we structured the conversation around 2 core challenges. The first was having the student choose 1 out of the 4 different tasks. The tasks were a mix of programming and design and presented on printed cards. The student then had to talk through the how and why of the task they choose. It was a very good way to explore the skill sets, motivations and task approach of the student. 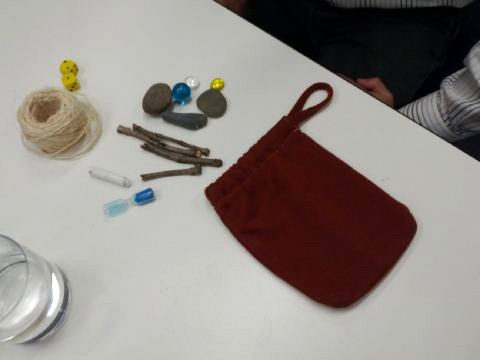 The second challenge involved them coming up with a game with some of the supplied items in the following picture. 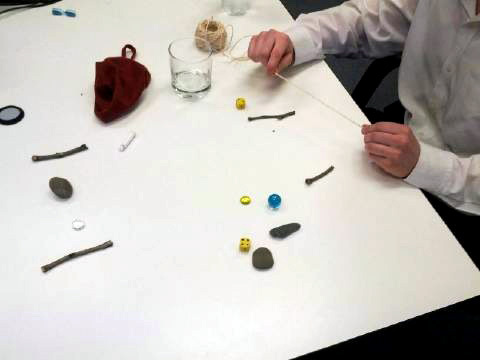 Intern game challenge- 2 die, a ball of string, an egg timer, a piece of chalk, a round blue marble, 3 small pebbles, 2 different coloured gem stones, 4 small sticks and a draw string bag. 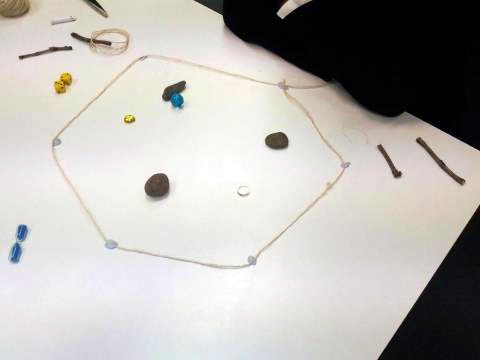 There is no right or wrong answer with this task but rather a discussion point around lots of things like their thinking in game design, task approach, problem solving, handling pressure and being put on the spot, time management, creativity, playful and fun design. what elements make a good game? what do you enjoy about the game? how would you improve the game? The following are some of the games they came up with. 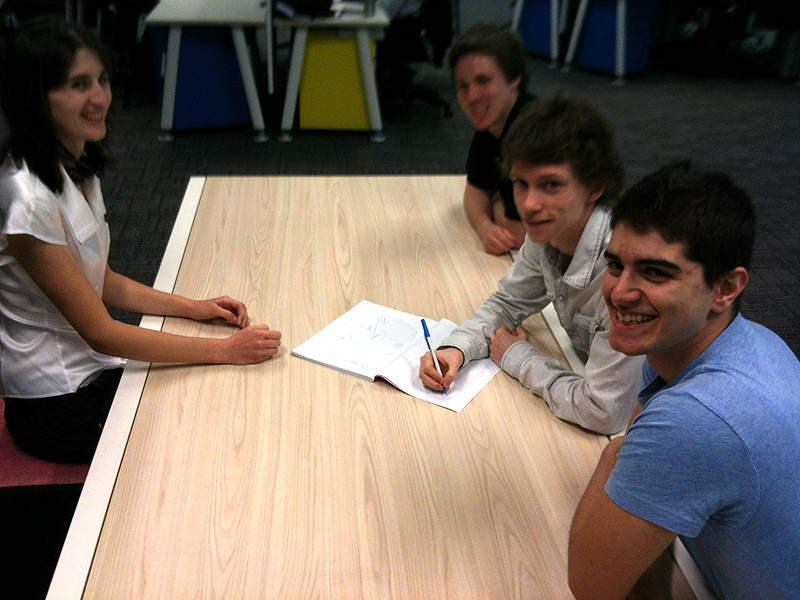 Intern game challenge- one of the games that was made. This student was only 2 of the 6 that used the chalk. Intern game challenge- one of the games that was made. This student asked for scissors to cut the string. Intern game challenge- one of the games that was made. 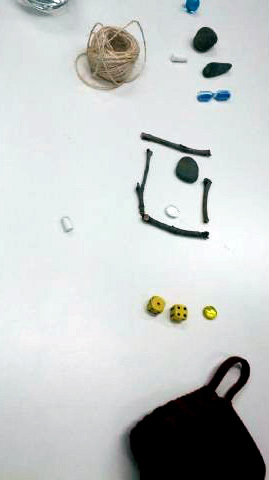 This student used the objects as a mockup of a digital game.